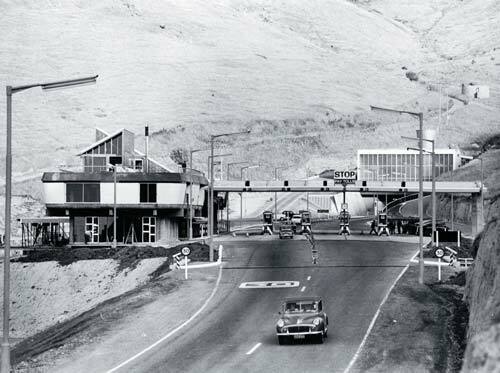 A road tunnel connecting Christchurch with the port of Lyttelton was completed in 1964. Before then, all road traffic went over Evans Pass on the Port Hills. This view is of the entrance at Heathcote, soon after the tunnel was opened. At that time motorists had to pay tolls to help cover the cost of the tunnel. II lived in Redcliffs,went to Linwood High school.I walked through the tunnel with my friends ,we were all 14yrs.I now live in OZ.Regards Jenny.